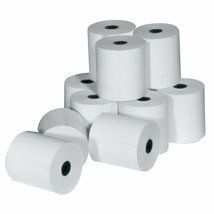 These thermal printer rolls are great for cash registers and gas station pumps 1 ply. No ink needed. BPA Free. 2 1/4 in. W x 165 Ft. L x 2 1/4 in Dia.